Republican presidential front-runner Donald Trump, who frequently touts his opposition to the Iraq war, appeared to support the idea in a newly unearthed 2002 interview, but said on Thursday he became an opponent by the time the invasion occurred. In the interview before the war began, which was republished by Buzzfeed on Thursday, radio personality Howard Stern asked Trump if he supported invading Iraq. "Yeah I guess so," Trump said, according to the audio clip. During a town hall event in South Carolina on Thursday, Trump said the interview was not relevant because his views changed before the invasion. "By the time the war started, I was against it, and shortly after, I was really against it," he said. The billionaire businessman and former reality TV star, who leads the field seeking the Republican nomination for the Nov. 8 election to succeed Democratic President Barack Obama, has cited his opposition to the 2003 invasion of Iraq as evidence of his foreign policy credentials. But his criticism of former Republican President George W. Bush's actions has aggravated some in his party, including in South Carolina, which holds its Republican primary on Saturday. 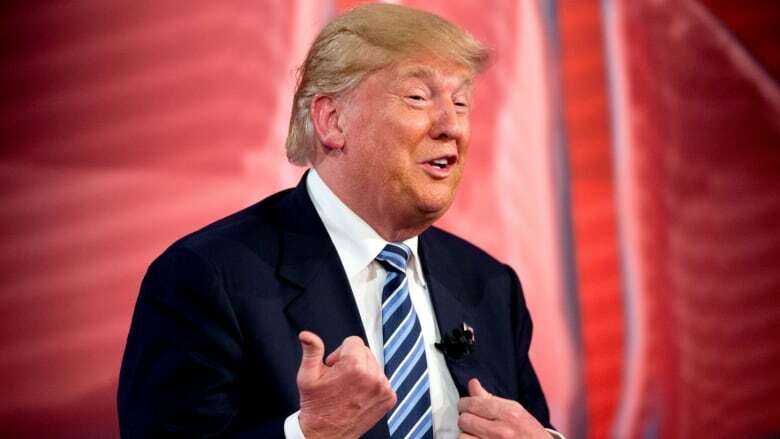 Trump's comments on Thursday came after a participant at the CNN event said he was "stung" when the real estate mogul in a recent Republican debate accused Bush of lying about the reasons to go to war. He was referring to allegations, later proven false, that Iraq possessed weapons of mass destruction. Trump walked back that criticism, saying the reasons for going to war were unclear. But he said the invasion was not justified and contributed to the destabilization of the Middle East. "Going into Iraq, it may have been the worst decision anybody has made, any president has made, in the history of this country. That's how bad it is," Trump said. Meanwhile, U.S. Vice-President Joe Biden said on Thursday that he thinks Trump could win the Republican presidential nomination race and should be taken seriously in the Nov. 8 presidential election because he appeals to voters' fears. "I think it is very possible he could be nominated, and depending on how this all plays out, I would take him seriously in terms of being able to win because he's appealing to fear," Biden said in an interview with MSNBC's Rachel Maddow. Biden's comments were more pessimistic than those earlier in the week from President Obama. "I continue to believe Mr. Trump will not be president," Obama said Wednesday. "And the reason is that I have a lot of faith in the American people. Being president is a serious job. It's not hosting a talk show, or a reality show." Pope Francis says Trump's views on immigration \"not Christian\"